Glauconite is an iron potassium phyllosilicate (mica group) mineral of characteristic green color which is very friable  and has very low weathering resistance. Potassium is a chemical element with symbol K and atomic number 19. It was first isolated from potash, the ashes of plants, from which its name derives. In the periodic table, potassium is one of the alkali metals. 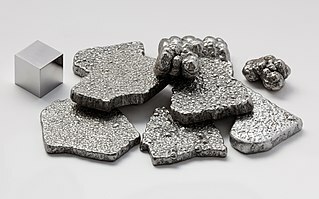 All of the alkali metals have a single valence electron in the outer electron shell, which is easily removed to create an ion with a positive charge – a cation, which combines with anions to form salts. Potassium in nature occurs only in ionic salts. Elemental potassium is a soft silvery-white alkali metal that oxidizes rapidly in air and reacts vigorously with water, generating sufficient heat to ignite hydrogen emitted in the reaction, and burning with a lilac-colored flame. It is found dissolved in sea water, and is part of many minerals. It crystallizes with a monoclinic geometry. Its name is derived from the Greek glaucos (γλαυκος) meaning 'blue', referring to the common blue-green color of the mineral; its sheen (mica glimmer) and blue-green color presumably relating to the sea's surface. Its color ranges from olive green, black green to bluish green, and yellowish on exposed surfaces due to oxidation. In the Mohs scale it has hardness of 2. The relative specific gravity range is 2.4 - 2.95. It is normally found in dark green rounded brittle pellets, and with the dimension of a sand grain size. It can be confused with chlorite (also of green color) or with a clay mineral. Glauconite has the chemical formula – (K,Na)(Fe3+,Al,Mg)2(Si,Al)4O10(OH)2. Specific gravity is the ratio of the density of a substance to the density of a reference substance; equivalently, it is the ratio of the mass of a substance to the mass of a reference substance for the same given volume. Apparent specific gravity is the ratio of the weight of a volume of the substance to the weight of an equal volume of the reference substance. The reference substance for liquids is nearly always water at its densest ; for gases it is air at room temperature. Nonetheless, the temperature and pressure must be specified for both the sample and the reference. Pressure is nearly always 1 atm (101.325 kPa). Glauconite particles are one of the main components of greensand, glauconitic silstone and glauconitic sandstone. Glauconite has been called a marl in an old and broad sense of that word. Thus references to "greensand marl" sometimes refer specifically to glauconite. The Glauconitic Marl formation is named after it, and there is a Glauconitic Sandstone formation in the Mannville Group of Western Canada. Greensand or green sand is a sand or sandstone which has a greenish color. This term is specifically applied to shallow marine sediment, that contains noticeable quantities of rounded greenish grains. These grains are called glauconies and consist of a mixture of mixed-layer clay minerals, such as smectite and glauconite mica. Greensand is also loosely applied to any glauconitic sediment. Marl or marlstone is a calcium carbonate or lime-rich mud or mudstone which contains variable amounts of clays and silt. The dominant carbonate mineral in most marls is calcite, but other carbonate minerals such as aragonite, dolomite, and siderite may be present. Marl was originally an old term loosely applied to a variety of materials, most of which occur as loose, earthy deposits consisting chiefly of an intimate mixture of clay and calcium carbonate, formed under freshwater conditions; specifically an earthy substance containing 35–65% clay and 65–35% carbonate. It also describes a habit of coralline red alga. The term is today often used to describe indurated marine deposits and lacustrine (lake) sediments which more accurately should be named 'marlstone'. Marlstone is an indurated rock of about the same composition as marl, more correctly called an earthy or impure argillaceous limestone. It has a blocky subconchoidal fracture, and is less fissile than shale. The term 'marl' is widely used in English-language geology, while the terms Mergel and Seekreide are used in European references. We went to see the playRomeo and Juliet at the theater. The coach devised a great play that put the visiting team on the defensive. The children went out to play in the park. Normally, glauconite is considered a diagnostic mineral indicative of continental shelf marine depositional environments with slow rates of accumulation. For instance, it appears in Jurassic/lower Cretaceous deposits of greensand, so-called after the coloration caused by glauconite. It can also be found in sand or clay formations, or in impure limestones and in chalk. 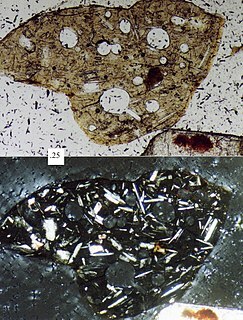 It develops as a consequence of diagenetic alteration of sedimentary deposits, bio-chemical reduction and subsequent mineralogical changes affecting iron-bearing micas such as biotite, and is also influenced by the decaying process of organic matter degraded by bacteria in marine animal shells. Glauconite forms under reducing conditions in sediments and such deposits are commonly found in nearshore sands, open oceans and the Mediterranean Sea. Glauconite remains absent in fresh-water lakes, but is noted in shelf sediments of the western Black Sea. 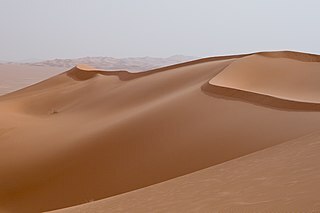 The wide distribution of these sandy deposits was first made known by naturalists on board the fifth HMS Challenger, in the expedition of 1872–1876. A continental shelf is a portion of a continent that is submerged under an area of relatively shallow water known as a shelf sea. Much of the shelves were exposed during glacial periods and interglacial periods. 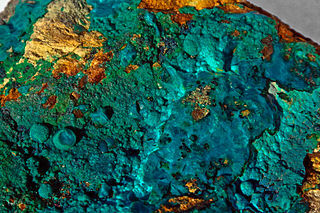 Glauconite has long been used in Europe as a green pigment for artistic oil paint under the name green earth. One example is its use in Russian "icon paintings", another widespread use was for underpainting of human flesh in medieval painting. It is also found as mineral pigment in wall paintings from the ancient Roman Gaul. Glauconite, a major component of greensand, is also a common source of potassium in plant fertilizers and is also used to adjust soil pH. It is used for soil conditioning in both organic and nonorganic farming, whether as an unprocessed material (for mixing in at proper proportions) or as a feedstock in the synthesis of commercial fertilizer powders. Green earth, also known as terre verte and Verona green, is an inorganic pigment derived from the minerals celadonite and glauconite. Its chemical formula is K[(Al,FeIII),(FeII,Mg](AlSi3,Si4)O10(OH)2. 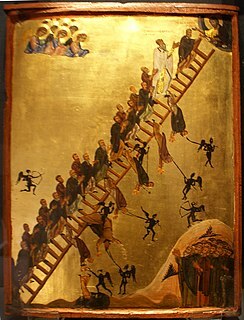 An icon is a religious work of art, most commonly a painting, in the cultures of the Eastern Orthodox Church, Oriental Orthodoxy, the Roman Catholic, and certain Eastern Catholic churches. The most common subjects include Christ, Mary, saints and angels. Though especially associated with "portrait" style images concentrating on one or two main figures, the term also covers most religious images in a variety of artistic media produced by Eastern Christianity, including narrative scenes. In Brazil, greensand refers to a fertilizer produced from glauconitic siltstone, unit belonging to the Serra da Saudade Formation, Bambuí Group, of Neoproterozoic/Ediacaran age. The outcrops occur  in the Serra da Saudade ridge, in the Alto Paranaíba region, Minas Gerais state. It is a silty-clayed sedimentary rock, laminated, bluish-green, composed of glauconite (40-80%), potassium feldspar (10-15%), quartz (10-60%), muscovite (5%) and minor quantities of biotite (2%), goethite (<1%), titanium and manganese oxides (<1%), barium phosphate and rare-earth element phosphates (<1%). Enriched levels of potash have K2O grades between 8 and 12%, thickness up to 50 m and are associated to the glauconitic levels, dark-green in color. Glauconite is authigenic and highly mature. The high concentration of this mineral is related to a depositional environment with a low sedimentation rate. The glauconitic siltstone has resulted from a high level flooding event in the Bambuí Basin. The sedimentary provenance is from supracrustal felsic elements on continental margin environment with acid magmatic arc (foreland basin). The Gault Formation is a geological formation of stiff blue clay deposited in a calm, fairly deep-water marine environment during the Lower Cretaceous Period. It is well exposed in the coastal cliffs at Copt Point in Folkestone, Kent, England, where it overlays the Lower Greensand formation, and underlies the Upper Greensand Formation. These represent different facies, with the sandier parts probably being deposited close to the shore and the clay in quieter water further from the source of sediment; both are believed to be shallow-water deposits. Celadonite is a mica group mineral, a phyllosilicate of potassium, iron in both oxidation states, aluminium and hydroxide with formula: K(Mg,Fe2+)(Fe3+,Al)[Si4O10](OH)2. The Perth Basin is a thick, elongated sedimentary basin in Western Australia. It lies beneath the Swan Coastal Plain west of the Darling Scarp, representing the western limit of the much older Yilgarn Craton, and extends further west offshore. Cities and towns including Perth, Busselton, Bunbury, Mandurah and Geraldton are built over the Perth Basin. The Chugwater Formation is a mapped bedrock unit consisting primarily of red sandstone, in the states of Wyoming, Montana, and Colorado in the United States. It is recognized as a geologic formation in Colorado and Montana, but as a Group in Wyoming. Authigenesis is the process whereby a mineral or sedimentary rock deposit is generated where it is found or observed. 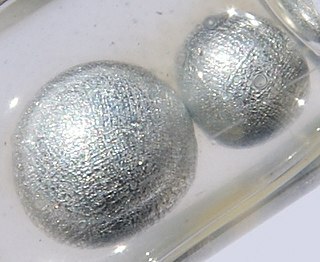 Such deposits are described as authigenic. Authigenic sedimentary minerals form during sedimentation by precipitation or recrystallization instead of being transported from elsewhere (allogenic) by water or wind. Authigenic sediments are the main constituents of deep sea sedimentation. Authigenic clays tend to reduce the porosity of sediments, thus reducing permeability. The Lower Greensand Group is a geological unit, which forms part of the underlying geological structure of southeast England. South of London in the counties of West Sussex, East Sussex, Surrey and Kent, which together form the wider Weald, the Lower Greensand can usually be subdivided to formational levels with varying properties into the Atherfield Clay Formation, the Hythe Formation, the Sandgate Formation, and the Folkestone Formation. In areas north and west of London, including Cambridgeshire, Bedfordshire and Buckinghamshire the Lower Greensand is referred to as the Woburn Sands Formation. The geology of East Sussex is defined by the Weald–Artois anticline, a 60 kilometres (37 mi) wide and 100 kilometres (62 mi) long fold within which caused the arching up of the chalk into a broad dome within the middle Miocene, which has subsequently been eroded to reveal a lower Cretaceous to Upper Jurassic stratigraphy. East Sussex is best known geologically for the identification of the first dinosaur by Gideon Mantell, near Cuckfield, to the famous hoax of the Piltdown man near Uckfield. The geology of West Sussex in southeast England comprises a succession of sedimentary rocks of Cretaceous age overlain in the south by sediments of Palaeogene age. The sequence of strata from both periods consists of a variety of sandstones, mudstones, siltstones and limestones. These sediments were deposited within the Hampshire and Weald basins. Erosion subsequent to large scale but gentle folding associated with the Alpine Orogeny has resulted in the present outcrop pattern across the county, dominated by the north facing chalk scarp of the South Downs. The bedrock is overlain by a suite of Quaternary deposits of varied origin. Parts of both the bedrock and these superficial deposits have been worked for a variety of minerals for use in construction, industry and agriculture. The geology of Georgia is the study of rocks, minerals, water, landforms and geologic history in Georgia. The country is dominated by the Caucasus Mountains at the junction of the Eurasian Plate and the Afro-Arabian Plate, and rock units from the Mesozoic and Cenozoic are particularly prevalent. For much of its geologic history, until the uplift of the Caucasus, Georgia was submerged by marine transgression events. Geologic research for 150 years by Georgian and Russian geologists has shed significant light on the region and since the 1970s has been augmented with the understanding of plate tectonics. The geology of Bosnia & Herzegovina is the study of rocks, minerals, water, landforms and geologic history in the country. The oldest rocks exposed at or near the surface date to the Paleozoic and the Precambrian geologic history of the region remains poorly understood. Complex assemblages of flysch, ophiolite, mélange and igneous plutons together with thick sedimentary units are a defining characteristic of the Dinaric Alps, also known as the Dinaride Mountains, which dominate much of the country's landscape. 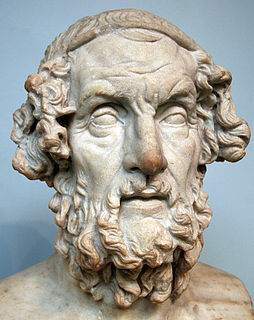 The geology of North Macedonia includes the study of rocks dating to the Precambrian and a wide-array of volcanic, sedimentary and metamorphic rocks formed in the last 541 million years. The geology of Lithuania consists of ancient Proterozoic basement rock overlain by thick sequences of Paleozoic, Mesozoic and Cenozoic marine sedimentary rocks, with some oil reserves, abundant limestone, dolomite, phosphorite and glauconite. Lithuania is a country in the Baltic region of northern-eastern Europe. ↑ Odin, G.S. (ed., 1988). Green marine clays. Development in sedimentology, 45. Elsevier, Amsterdam. ↑ Smith, S. A., and R. N. Hiscott. 1987: Latest precambrian to Early Cambrian basin evolution, Fortune Bay, Newfoundland fault–bounded basin to platform. Canadian Journal of Earth Sciences 21:1379–1392. ↑ Hiscott, R. N. 1982: Tidal deposits of the Lower Cambrian Random Formation, eastern Newfoundland; facies and paleoenvironments. Canadian Journal of Earth Sciences 19:2028–2042. ↑ Silvano MOREIRA, Débora (2016). "ESTRATIGRAFIA, PETROGRAFIA E MINERALIZAÇÃO DE POTÁSSIO EM SILTITOS VERDES DO GRUPO BAMBUÍ NA REGIÃO DE SÃO GOTARDO, MINAS GERAIS" (PDF). Revista Geociências. 35: 157–171 – via UNESP.